What is commonly known as a prenuptial agreement is not a new idea either legally or culturally. Women have wanted assurance that in the event of a divorce or death of a spouse that they wouldn't end up homeless since at least Egyptian times over 2,000 years ago. 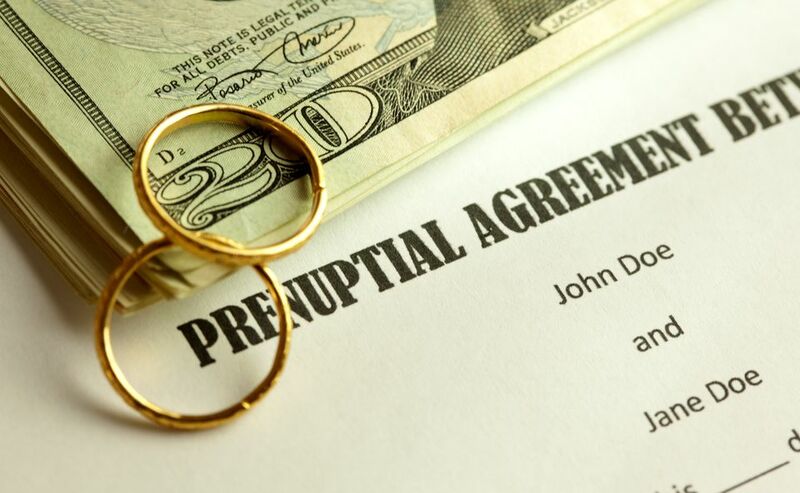 Prenuptial agreements are binding legal contracts signed between spouses before exchanging wedding vows that protect each party from an undue loss in the event of a divorce, death, or other unforeseen circumstance that could affect the couple's financial well-being. Essentially, this notarized document dictates how the couple will handle the financial aspects of their marriage, and though it has legally existed for thousands of years, the laws governing prenuptial agreements have evolved, especially in recent years. According to "Prenuptial Agreements: How to Write a Fair and Lasting Contract" by Katherine Stoner and Shae Living, people have been making prenuptial agreements dating back to ancient Egyptian times and the practice has existed in the Anglo-American tradition for centuries, although previously the parents of the bride and groom negotiated these agreements. Between 1461 and 1464, Edward IV reportedly also signed a prenuptial agreement with Eleanor Butler, according to Michael Miller's "Wars of the Roses," and Elizabeth Oglethorpe required General James Edward Oglethorpe to sign a prenuptial agreement protecting her property rights before their marriage in 1744, according to "The Manor of Bishop's Ockendon." Although prenuptial agreements have been in practice for well over 2,000 years, the idea of women having rights outside of marriage is still a relatively new concept abroad and domestically. Before the Married Women's Property Act (MWPA) of 1848, prenuptial agreements were necessary for women in the United States so that they didn't wind up homeless and broke with children in the event of their husbands' deaths. Since then, prenuptial agreements have become more of a preemptive assurance for possible future marital issues than something signed to protect a woman from poverty, as the MWPA stipulated that women could inherit property in the will of a spouse for the first time. Still, throughout much of the late 19th and early 20th centuries, parents would arrange prenuptial dowries for their unwed female children. It wasn't until the 21st century, really, that prenuptial evolved to be more of an equitable agreement, with new legislation governing how each state handled prenups across the United States. As of 2017, about half of the states in America have signed on to the Uniform Premarital Agreement Act, which sets forth uniform rules on interpreting prenuptial agreements in civil court. In any case, there are certain conditions that must be upheld in order for a prenuptial agreement to be deemed valid by U.S. courts: the agreement must be in writing; it must be executed voluntarily; it must be a full and fair disclosure of all financial assets at the time of execution; it cannot be unconscionable; and it must be executed by both parties "in a manner required for a deed to be recorded," or an acknowledgment, before a notary public.